I've been collecting security envelopes for a while now but I hadn't done anything with them recently (there was a small something long ago). 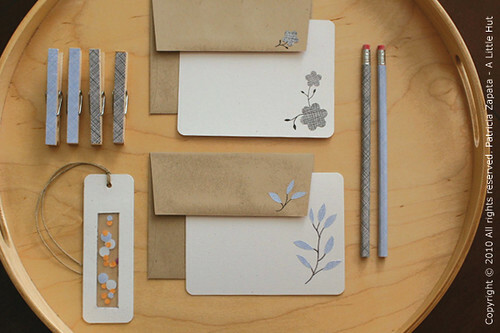 My hands were itchy to make anything with paper so I decided to create a small set of stationery goods. 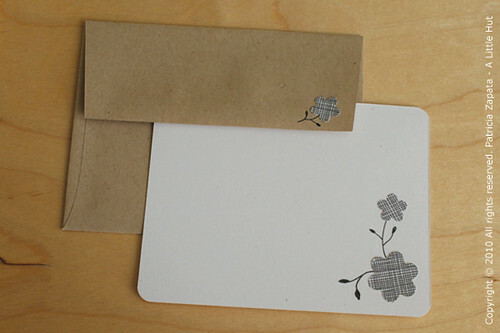 Stationery - Having blank stationery on hand is a must for me. 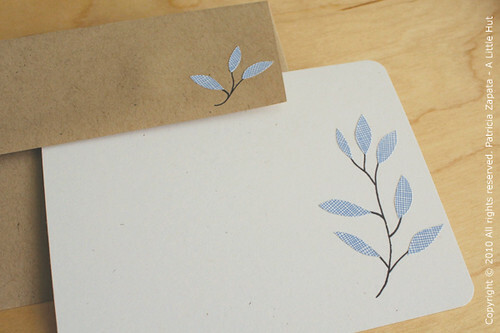 Here I decorated a couple of flat cards with hand drawn branches and leaves and bits of the envelopes. 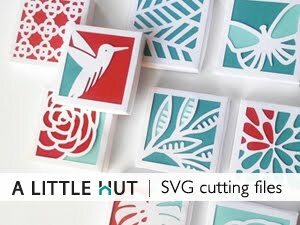 I cut the leaves by freehand with my Xacto and the flowers with a hole punch. 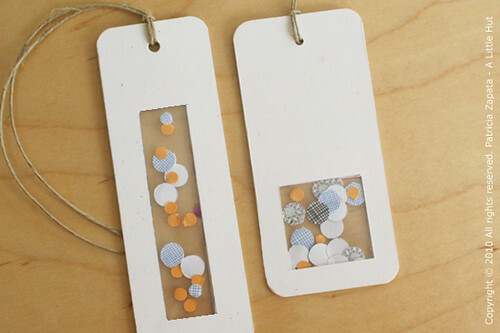 Gift tag - The gift tag is made with card stock and the window of a security envelope. Make sure to leave 1/4" frame around the plastic. Using hole punches of different sizes I punched out circles from security envelopes of different patterns and colors. The yellow paper is part of a manila envelope. 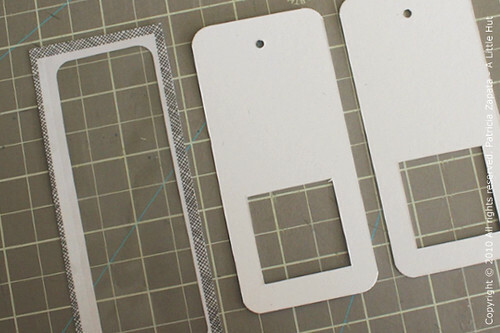 Using white card stock, I cut out two identical rectangles that are slightly wider than the plastic. 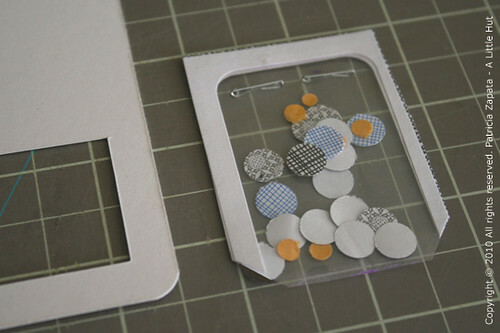 Each card has a small window and a hole at the top for ribbon or string. I rounded the corners of both with a corner punch. I folded the plastic in half and filled it with the security and manila envelope circles. I added a couple of staples at the top to seal that area off. The other two edges were sealed with a glue stick. I cut the corners on a diagonal so that they wouldn't peek out from behind the card stock. Here is the final result. The tag on the left was made with two windows from different envelopes. They were glued face to face. Come to think of it these could make good bookmarks too. 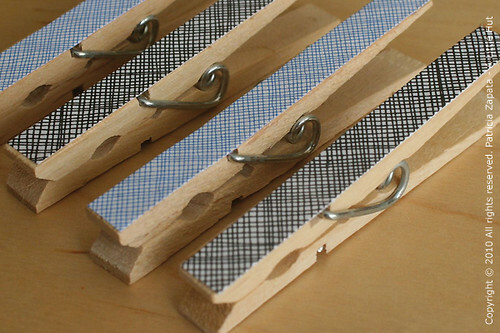 Wooden clips - I measured the top of a clip and cut out a template with card stock. 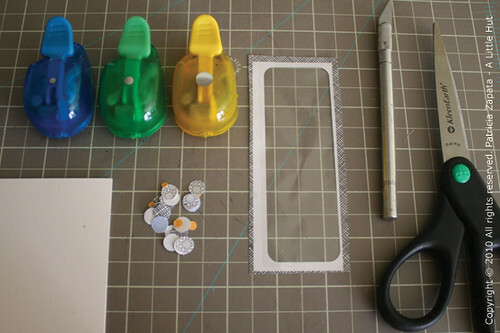 I used the template to measure and cut out each of the pieces of paper and attached them to the clips with the glue stick. Pencils - I covered the pencils with a rectangle cut out of the security envelope and glue. The paper is a bit over 1in. wide and as long as the pencil. 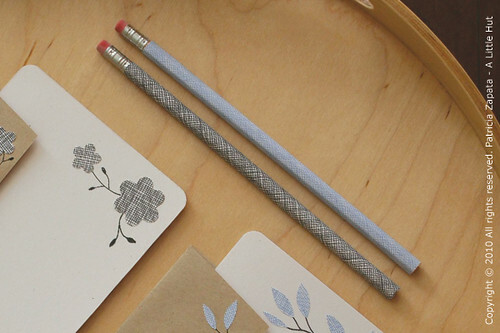 This variation of using mechanical pencils is a great idea so you get to enjoy your handiwork for a longer time. For those of you interested in downloading a project sheet for future reference click here for the PDF. 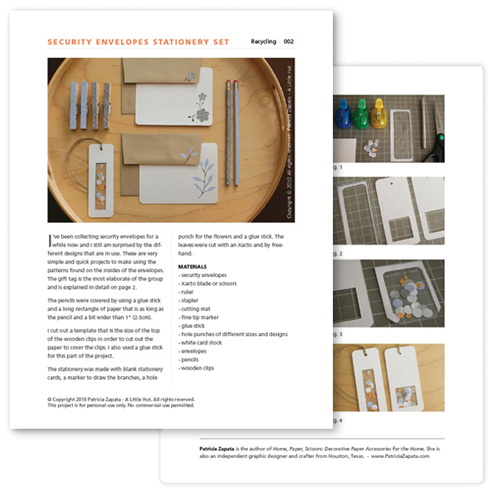 Your security envelopes security set is gorgeous. Junk mail becoming beautiful objects, I love this!